Christie’s kicked off London’s Frieze week auctions last night (3 October), with two new sales—a mix of Modern design and photography and Up Close, a curated offering of small works. The audience was somewhat diminished by the multitude of gallery openings clamouring to take place before Frieze’s preview today, culminating in respectable but not earth shattering results. By evening sale standards, both were relatively low value, with a total pre-sale estimate of £14m-£20.6m (£5.3m-£8m for Masterpieces of Design and Photography, and £8.7m-£12.5m). That pales against the house’s main event on Friday, the post-war and contemporary art evening sale, led by Francis Bacon’s Study of Red Pope 1962, 2nd Version (1971), alone estimated at £60-80m. Christie’s first evening sale of design and photography was a 35-lot tick-box selection of household names from a Julia Margaret Cameron photograph from 1875 through Gerrit Rietveld and Finn Juhl to contemporary designer Marc Newson. Overseen by Francis Outred, Christie’s chairman and head of post-war and contemporary art, EMERI, and headed by specialists Jude Hull (photography) and Jeremy Morrison and Simon Andrews (design) this was trophy name shopping to tempt the Frieze week buyer. “The relative value of photography and design compared to paintings and sculpture is ridiculously low and the gap deserves to be closed”, Outred said before the sale. Mixed consignment design sales generally have higher unsold rates than those of Modern and contemporary art. 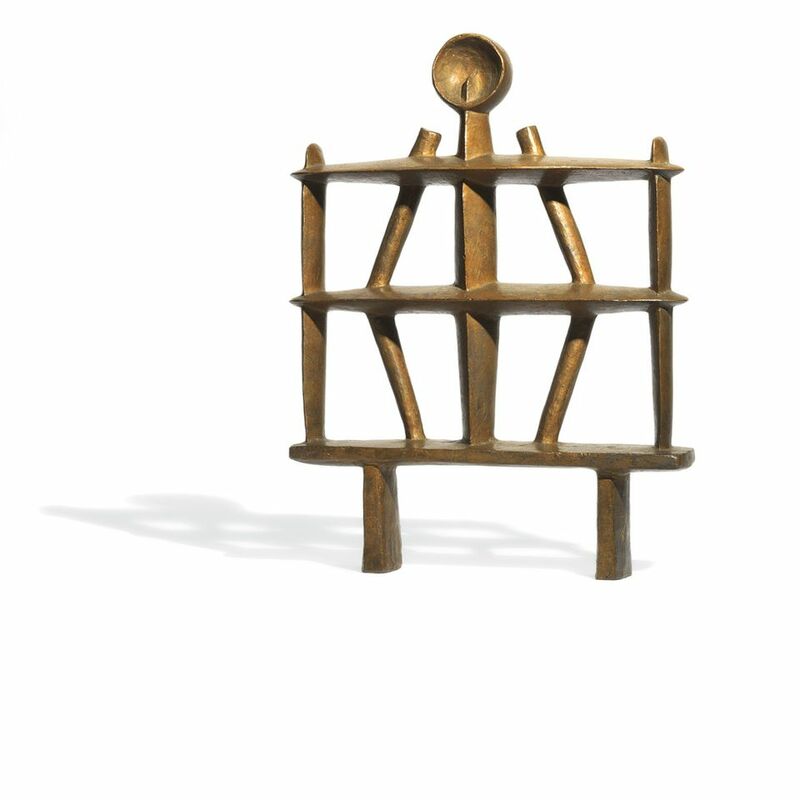 Christie’s most successful modern design offerings have unsurprisingly been those of glossy high-profile collections such as the famed Yves Saint Laurent and Pierre Bergé sale in 2009 and the Diego Giacometti pieces from Hubert de Givenchy’s collection offered in March 2017, the latter a white-glove sale which made €32.7m (including fees). Last night’s Masterpieces of Design and Photography featured no Giacomettis but made a safe mid-estimate £6.1m, with 86% sold by lot with design generally performing more consistently than photography. The sale was marred by the last-minute withdrawal of three central lots—Allen Jones’ Hatstand, Chair and Table, all estimated at £600,000-£800,000 each—“the consignor’s decision” Outred said. Top lot was an example of Marc Newson’s Lockheed Lounge (designed 1985-1988, executed before 1993), sold for a mid-estimate £1.3m (£1.57m with fees). The sale, Outred said, “saw people buying across categories, in both photography and design” and the Newson went to “a post-war buyer” he said. 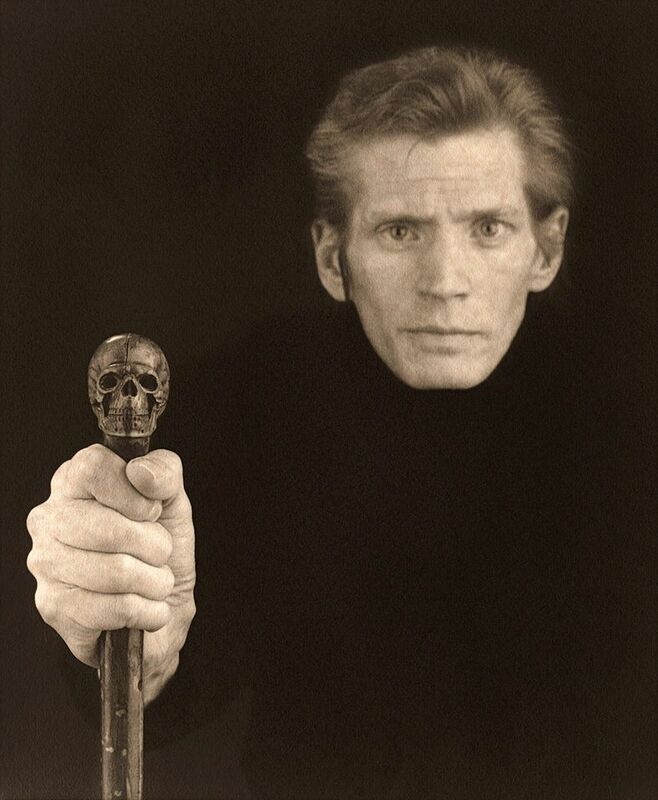 A new record was set for Robert Mapplethorpe, as his Self-Portrait (1988), a powerful photographic moment mori, sold for £450,000 (£548,750 with fees). As Outred said, “He is staring death in the face.” The platinum print is from an edition of three, plus artist’s proof, of which two are in the J. Paul Getty Museum and the Guggenheim, New York. The buyer was bidding through Gen Ogo from Christie’s Tokyo, which suggests a Japanese buyer. Christie’s had its thunder stolen by Sotheby’s for this first sale of “masterpieces on a small scale”, when the rival house did a similar theme, Actual Size, in June. Christie’s specialist Alessandro Diotallevi came up with the idea 18 months ago, and, Outred says, “was devastated when Sotheby’s did it first.” While Sotheby’s stretched back to Old Masters, Christie’s focused on post-war and contemporary works, with 33 of 35 lots sold (94% by lot) for £11.9m (£14.5m).